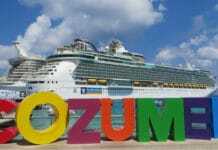 Without a doubt, Cozumel is among the most popular cruise ports in the Caribbean. If you’re going on a cruise, the chances are high that you’re going to make a stop at the Mexican port. There’s good reason that Cozumel is such a popular port. From shopping to clear blue water to fantastic restaurants to white sand beaches, it has something for everyone. In fact, there are so many things to do that you might be wondering what you should do while in port. While there are tons of excursions you can choose from, one of the most popular things to a day pass to one of the hotels or resorts on the island. These day passes give you access to the hotel and its facilities, meaning its manicured beaches, lounge chairs, pools, showers, and more. In addition, they usually come with food and drinks included. Many people love day passes because it gives you a chance to relax, sip an umbrella drink, and hang out in a tropical paradise while having someone cater to your every whim. What’s not to like? 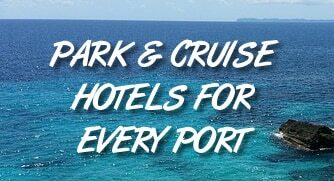 We’ve rounded up some of the most popular Cozumel hotels and resorts with day passes, including details like price, what’s included, and more. For more details, you can click the provided links to read real reviews from other visitors at TripAdvisor.com. If you want a resort close to the cruise pier, it doesn’t get any closer than this. In fact, from the beach the cruise ships seemingly cast a shadow over the resort. With the day pass you have access to all the facilities, including lounge chairs, pool, towels, wi-fi, and even snorkel equipment. In addition, unlimited meals and beverages are included. Allegro Cozumel is a resort located about eight miles south of the cruise pier, so you’ll need to catch a cab. What’s nice is that it’s away from the hustle and bustle of the port, so things are a lot quieter and calmer and there is a beautiful stretching beach of white sand to enjoy. The day pass at Allegro includes open bar as well as buffet, snacks and other drinks. You can also enjoy the pool, beach, sun chairs, showers, restrooms, and non-motorized sports like kayaking and windsurfing. Allegro also has a water park for kids. This resort is located in the northern hotel zone of Cozumel, about 5-6 miles north of the cruise pier. For $65 per day, you get meals and snacks, plus drinks (including alcoholic drinks), use of the pool, hammocks, and loungers. The resort has a small, somewhat rocky beach, but that’s made up for with a large resort pool. Like El Cid, Park Royal is near the cruise piers (within a short walk). The resort has all the amenities you’d expect, including unlimited food, pool access (there are multiple), swim-up bars, a small kids water park, even tennis courts, and a small private beach via underground tunnel. Unlike other spots near the cruise ships, this beach, while small, is smooth and sandy, perfect for kids and families. Located just north of Mr. Sanchos, Playa Mia is another beach resort taking advantage of the beautiful beaches on this part of the island. It is a little different from other resorts with day passes in that they offer a lot of options from a bare-bones ticket that doesn’t include food/drink to a full experience with all-you-can-drink, eat, and port transportation. The park features beautiful beach, lounge chairs, pools, a kid’s waterpark, waterslides, a floating water park, snorkeling, volleyball, and more. Upgrade your ticket and you can access things like the buffet and bar. Add-on rental like parasailing and jet-skis are also available.